The Geneva Accords and the Return of the "Defensive Realists"
After intense negotiations between Iran and world powers (chiefly among them the United States), November 24 saw a historic breakthrough. In a six-month interim agreement, Tehran has committed itself to a substantial freezing of its nuclear program in return for “modest relief” - according to US President Barack Obama - in sanctions. The agreement will be a first step towards achieving a comprehensive solution, with which the peaceful nature of Iran’s nuclear program will be ensured while all sanctions against the country would be lifted. There has been much speculation over the degree in which the decade-long transatlantic Iran strategy of coercive diplomacy was responsible for reaching this diplomatic victory. Was it the permanent threats of war or the increasingly crippling sanctions which, in the eyes of many Western observers, led Iran to “give in”? Arguably, it rather was a shift away from that policy of threats and pressure, and towards serious diplomacy aiming at a reconciliation of interests (especially during the month of November), which rendered the deal possible. But yes, without any doubt the sanctions did have an impact. The sanctions have severely deepened Iran’s economic malaise, considerably harmed a variety of social groups, while part of the power elite quite comfortably adjusted to the situation. Consequently, thepower gap separating the state and (civil) society was even boosted. Yet, the immense damage that sanctions have done to society does not bear much relevance for policy-makers. However, what has gone largely unnoticed by supporters of the sanctions policy is the realpolitik fact that, contrary to its stated goal, the escalation of sanctions was accompanied by an escalation in Iran’s nuclear program. When Obama entered the White House, there were not even 1,000 centrifuges spinning in Iran; today, the figure stands at almost 19,000. The reason for this is that the West views sanctions through a cost-benefit lens, according to which it can only be a matter of time until the sanctioned party will give in. In contrast, Tehran sees sanctions as an illegitimate form of coercion, which ought to be resisted, for the alternative would be nothing less than capitulation. Nonetheless, many commentators sardonically insist on praising the sanctions’ alleged effectiveness for aiding diplomacy. This is not only a sign of analytical myopia, but also constitutes the not-so-covert attempt to shed a positive light on the coercive diplomacy that was pursued so far. In reality, Iran’s willingness to offer concessions is rooted within a wider context. Firstly, Iran already demonstrated its readiness to compromise over the last three years , which the Obama administration did not dare to accept due to domestic political pressures (i.e., his re-election). Secondly, and this is likely to have been crucial in achieving the agreement in Geneva, Iran’s current foreign policy is primarily not a result of pressure through sanctions. Instead, it is embedded within a specific foreign-policy school of thought which is characterized by realism and a policy of detente. 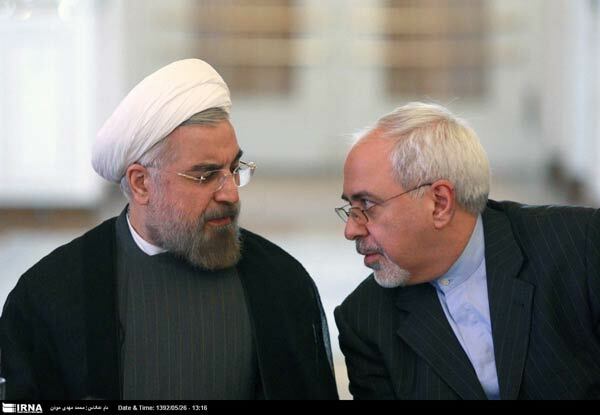 Notably, with Hassan Rouhani’s election, the “defensive realist” school of thought reasserted power, which had previously been ascendant during Akbar Hashemi Rafsanjani’s and Mohammad Khatami’s administrations. Their prime objective was a policy of detente and rapprochement, especially with the West, but also with neighboring Arab states - specifically, Iran’s geopolitical adversary, Saudi Arabia. In contrast to the “offensive realists” who took the lead under the Ahmadinejad administration, “defensive realists” do not view foreign policy as a zero-sum game but instead as an arena where win-win situations ought to be explored - especially with the United States. Another pivotal difference between these schools of thought is their estimation of US power. While “offensive realists” see the superpower’s power-projection capabilities rapidly declining, the “defensive” camp rightly acknowledges that even a US in relative decline can inflict substantial damage on weaker countries like Iran. The historically unprecedented Iran sanctions regime is a prime illustration of the veracity of the latter view. Ultimately, the nuclear agreement in its core has to be seen as a U.S.-Iranian one, which expresses the will of both sides to secure their interests in a rapidly changing regional landscape. To what extent this will affect Washington’s traditional regional allies in Tel Aviv and Riyadh will be highly interesting to watch. About the author: Ali Fathollah-Nejad is a PhD candidate in international relations at both the University of Muenster in Germany and the School of African and Oriental Studies (SOAS) at the University of London.